The holiday season is the perfect time to visit Philadelphia. The city sparkles with a variety of festive celebrations occurring from Thanksgiving to New Years Day. With so many options, it can be confusing to select the best celebrations to attend. With that in mind, here are the best holiday traditions to enjoy in Philly. Before it was a Macy’s (and a Lord & Taylor), legendary merchant John Wanamaker’s Department Store occupied the grand space at 1300 Market Street. Despite the store’s name change, the light show is as popular as ever. The show, which is performed every other hour starting at 10am, is a feast for the eyes and ears. Snowmen and other holiday characters dance with perfect choreography to music made by the world’s largest pipe organ. The holiday season would not be complete in Philly without at least one visit to the Grand Court for this ultimate feel-good experience. Local Tip: Be sure to budget some time for the holiday themed Dickens Village. Located on the third floor at the Center City Macy’s, this elaborate display will transport you back in time to 1840s London with its heartwarming recreation of “A Christmas Carol”. The Reading Terminal Market is a mecca for food lovers all year long, and the market adds a special tradition each holiday season – the Holiday Railroad. Every December, a 500 square foot model train traverses through a miniature version of Center City Philadelphia and its wintry surroundings. Kids of all ages ooh and ah when they visit this Philadelphia treasure. 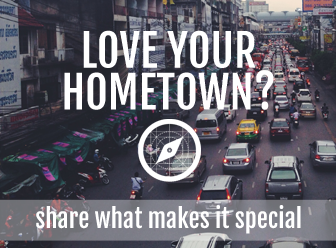 Local Tip: Since the Holiday Railroad runs daily starting at 10am, plan to eat breakfast or lunch at the market. Food options include traditional Philly and Amish fare along with an international mélange of foodstuffs including German, Chinese, Italian and so much more. Located at the Comcast Center, the tallest building in Philadelphia, the Comcast Holiday Spectacular is a fifteen-minute show that attracts crowds of visitors every holiday season. The family-friendly video is shown on one of the world’s largest LED displays and includes holiday music, ballet performances and a magical sleigh ride from the countryside to Philadelphia. Local Tip: The Comcast Center has a food court in the basement. It’s a good spot to enjoy a light bite while waiting for the hourly show to start. The Christmas Village in Philadelphia has become a popular holiday tradition in just eight years. 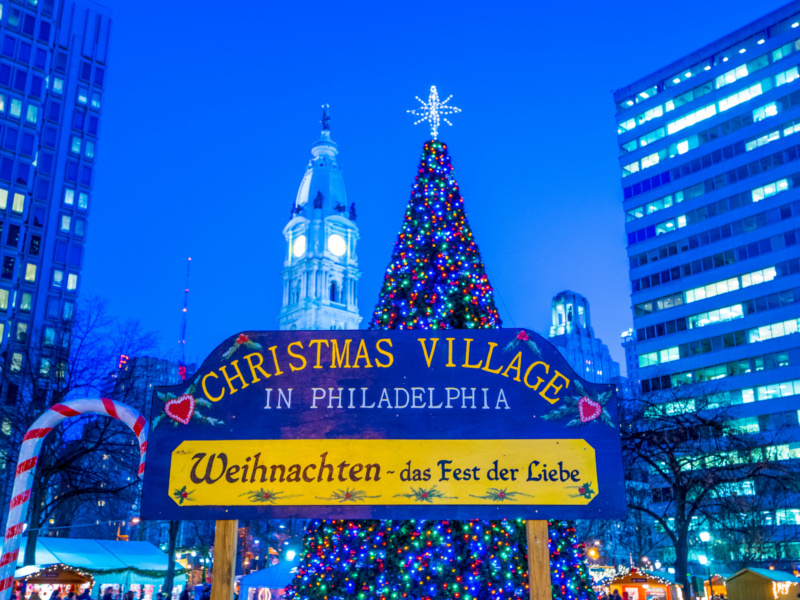 The open-air German Christmas Market takes over Love Park and fills the urban park with music and twinkly lights. The real attractions are the rows and rows of wooden huts with vendors selling global gift items and tasty treats. It’s a true pleasure to sip on mulled wine and hot chocolate while shopping for the perfect holiday present. Local Tip: Santa Claus is at the Christmas Village and is available to take photos with kids of all ages. Dating back to 1901, the Mummers Parade is a century-plus tradition that is part of the city’s fabric. Throngs of people come from far and wide to enjoy the parade with its elaborate costumes and distinctive sax-meets-banjo music. Participants compete in categories like Comics, Fancies, Fancy Brigades and String Bands while fans stretch for miles on Broad Street along the parade route. Local Tip: The party continues in deep South Philly on “Two Street” after the official parade is over. Philadelphia, a historic city of traditions, pulls out all of the stops to celebrate the holiday season. As an extra bonus, the city’s most popular holiday traditions are all free of charge and easily accessible by public transportation. As a result, the holiday season really is the best time to visit Philly.